Join us for a Winery Spotlight tasting event, featuring wines from Domaine Drouhin in Oregon and Joseph Drouhin wines from France. For the last 130 years, Maison Joseph Drouhin has been in the hands of the Drouhin family. With close to 90 different appellations, Joseph Drouhin offers a fascinating array of Burgundy terroirs in all their authenticity and subtle variations. With its 73 hectares (182.5 acres), the Joseph Drouhin Domaine is one of the largest estates in the region. It owns vineyards in all of Burgundy: Chablis (95 acres), Côte de Nuits and Côte de Beaune, (80 acres), Côte Chalonnaise (7.5 acres). It is comprised of a majority of Premier and Grand Crus, planted with the two Burgundian grape varietals, Pinot Noir and Chardonnay. The Domaine was put together through the years, thanks to judicious purchases and agreements between families. Some vineyards are among the most famous in Burgundy, such as Clos des Mouches, Montrachet Marquis de Laguiche, Musigny, Clos de Vougeot, Corton-Charlemagne, etc. For some village or regional appellations, Joseph Drouhin complements its supplies by purchasing grapes from other vineyard owners who have been long time partners and share the same quest of excellence. Starting with the vintage 2008, the name “Vaudon” was associated with Joseph Drouhin for all its Chablis wines as a sign of the firm’s allegiance to this historical terroir. Today, the House of Joseph Drouhin is run by Joseph’s four grand children, born between 1961 and 1968. They practically grew up in the vineyards and cellars. They acquired their knowledge from their father Robert Drouhin, while at their side. Each of the grandchild have a role to play within the business and each shares the same passion for vine and wine. From vintage to vintage, they perpetuate the tradition and do not shy away from innovation in their search for elegance and perfection, the hallmark of Maison Joseph Drouhin. The Drouhin Family’s winemaking roots run deep, having taken hold in Burgundy’s best vineyards more than a century ago. Through the years, there has been a very clear link, a continuum, that inhabits Maison Joseph Drouhin, and now Domaine Drouhin Oregon. The estate winery in the Dundee Hills creates elegant, fine Pinot Noir and Chardonnay wines forged from their family’s tradition of fine winemaking in France. 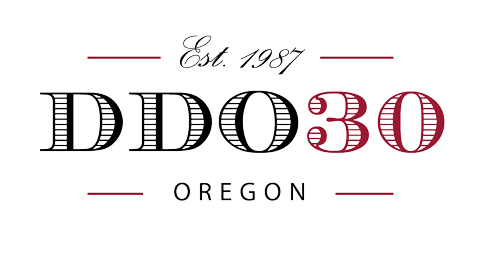 For more than 25 years, the Drouhin Family has brought a wealth of hard-earned experience to their vineyards in the Willamette Valley, just southwest of Portland, Oregon. The Drouhin Oregon estate was established in the late 1980s, but their winemaking roots were planted in Burgundy a century earlier, when Joseph Drouhin moved from Chablis to Beaune, and in 1880 founded Maison Joseph Drouhin. He was succeeded by his son, the brilliant Maurice Drouhin, who dedicated his life to making fine wine. In 1957, Robert Drouhin became the third generation to run the business. 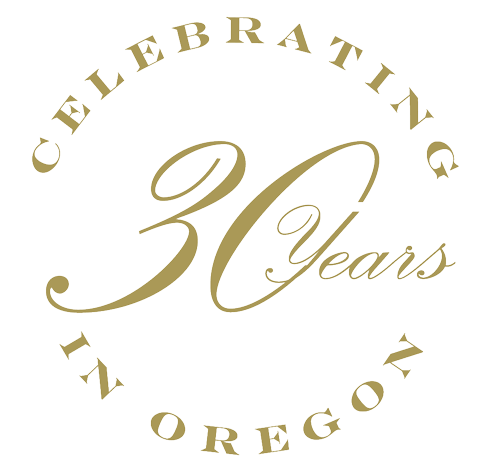 He first “discovered” Oregon on a 1961 visit, and then again during the 1979 and ’80 blind tastings in Paris and Burgundy (the latter of which Robert organized) that put Oregon wines on the world map. Robert recognized that it was Oregon, more so than California, whose soils and climate could unlock the complexities and potential of Pinot Noir and Chardonnay in the United States. *See your local store for the specific wines to be tasted, may vary by location or region. This entry was posted in Winery Spotlight Tastings and tagged Burgundy wine, chardonnay, domaine drouhin, drouhin, drouhin wines, joseph drouhin, local wine event, local wine tasting, oregon wine, pinot noir, tasting, tasting event, tasting station, wine, wine event, wine portfolio tasting, wine styles, wine tasting, wine tasting event, winery spotlight, winestyles. Bookmark the permalink.